Don’t just eat Thai food while in Phuket! Learn to cook it so you can recreate it back home. 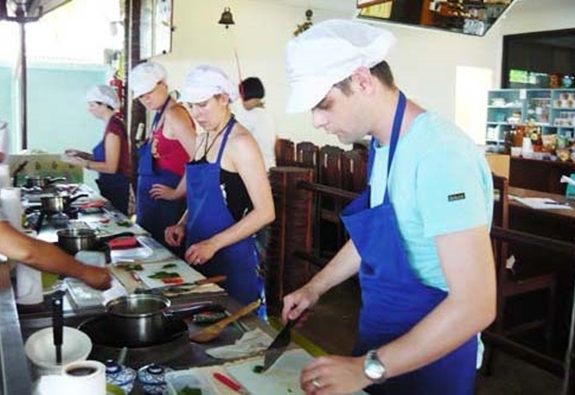 Led by a local chef at a professional cooking school, this 7-hour Thai culinary class shows you how to prepare some delicious local favorites. Learn to make hot and sour prawn soup, green curry and more, and enjoy your creations for lunch. Your experience includes ingredients, recipe cards, and hotel pickup and drop-off. Remember to bring your camera, if possible, a cheerful smile, an empty stomach. 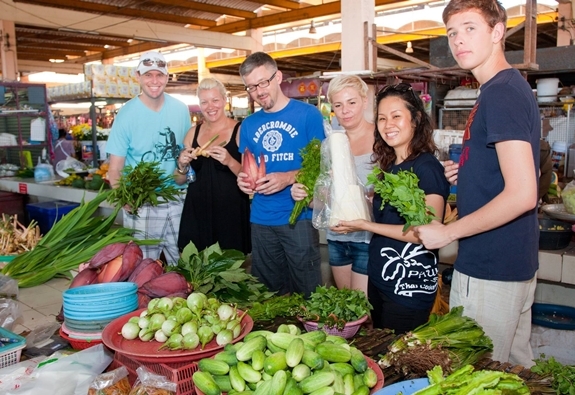 This is THE cooking company to do a Thai cooking class with when staying in Phuket. The cooking instructors/chefs for the day I went were James ( very funny & entertaining), Sue and Ket. To begin with Ket took us on a tour of a fresh produce market & showed & explained to us the different produce we would be using in our cooking class. We then went to the cooking school which is situated in a beautiful location-just metres from the actual beach-fabulous! First we had some bites of breakfast. We were then shown how to cook each dish first & got to test taste them & then got to it ourselves. There were many helpers & chefs on hand to guide us. They were very accommodating with food likes & dislikes & I am very grateful for them doing so. All the staff were polite & friendly. All food is fine for Western tummies. The dishes turned out great-yum! Given the recipes too. I highly recommend these classes. I went to another company’s cooking class and this company beats them hands down.